As depressing, and weird as it is, I have an unending want to read every book I can find which deals with school shootings. Jodi Picoult's Nineteen Minutes and Dave Cullen's Columbine are two books I can, and have, reread multiple times. 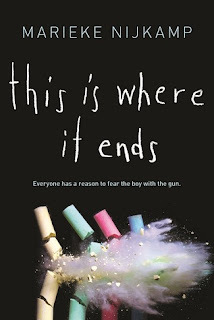 So, when I first heard about Nijkamp's This is Where it Ends, I knew it had to be added to my TBR list.